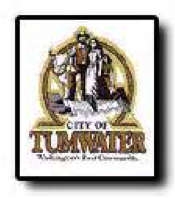 NEO’s consultants conducted a broadband planning and feasibility study for the City of Tumwater. In performing the work, we evaluated current needs, existing infrastructure, and devised a deployment strategy encompassing fiber optic and wireless technologies. We met with and collaborated with key stakeholders within the community and county, community anchor institutions, the State of Washington’s Department of Transportation, and service providers to implement a city-wide plan for next generation broadband services.